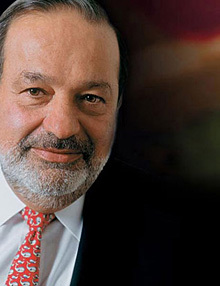 Mexico City - Shares of Mexican billionaire Carlos Slim's Minera Frisco rose 4.49 in their market debut as investors flocked to get a piece of the metals venture of the world's richest man. Frisco was spun off from conglomerate Grupo Carso, which rose 1.62 percent after its mining and real estate businesses were separately listed on Thursday and initially priced in a premarket auction. Slim's real estate business, Inmuebles Carso, rose 4.23 percent in its first open-market trades.